Everyone associates the creation of Batman to a man named Bob Kane. He is the person whose name is on every facet of the Batman enterprise, from the original comics to the highly lucrative movie franchise. 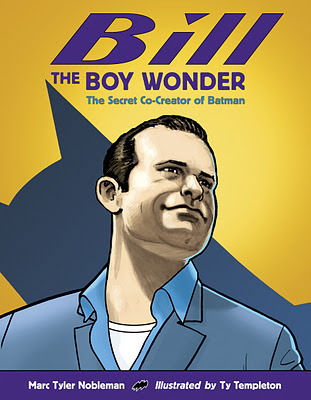 This book, however, is the story of Bill Finger, the uncelebrated man behind the creation of the Batman comics and who was never given credit or proper compensation for his work. Even though the idea of Batman originated with Bob Kane, the vision of who Batman became, as well as the subsequent writing, was done by Bill Finger. Marc Nobleman has written an important story in Bill the Boy Wonder, not just for fans comics, but also as a lesson in giving credit where credit is due. 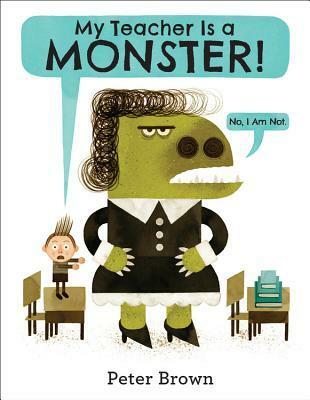 I'm so grateful Katherine Sokolowski alerted me to this book in her presentation on building relationships at nErDcampMI, otherwise I'm sure I never would have read it. As someone who is not a fan of comics, why would I? But this book is so much more than a biography about a comic book creator. 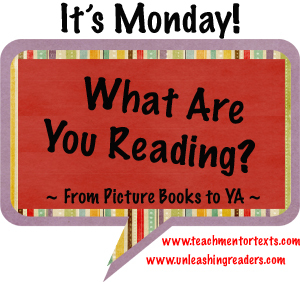 Bill the Boy Wonder is a perfect catalyst for talking with students about being gracious and fair, and a great question Katherine asks her students when conflict arises is, "Are you being a Bill or are you being a Bob?" It doesn't get more simple and impactful for students than that. Not only does this book speak to lessons in doing the right thing, but it is also peppered with writing inspiration as well. I particularly love that Bill "recorded stray facts -- the boiling point of mercury, the Chinese character for virtue, what happens when a dog's nose gets cold -- in what he called his 'gimmick book.' He routinely skimmed it for a spark that might ignite a story." Given the importance of building community and using a writer's notebook in my classroom, Bill the Boy Wonder is a book I will be sharing with my students at the start of the school year and one that I have a feeling we will reference often, just like Katherine does. Ty Templeton's illustrations in this picture book are very true to a comic book style and will draw in readers who are lovers of all those original vintage DC comic books, which makes Bill the Boy Wonder a perfect picture book for middle grade and young adult rather than primary readers. I will definitely be purchasing my own copy for my classroom and I encourage any teacher looking to work on building community and better classroom dynamic to also give this book a try. All those hours in the hospital that I spent thinking about whether or not this crazy procedure would work, whether or not I'd get to come back, and it hadn't even once occurred to me that it could happen this way. I thought if I woke up at all, it would be in a hundred years to a brand-new world full of new people. But instead there I was stuck in this mutated version of my old life where everyone had grown up just enough to forget about me. Or, at the very least, move on to lives I could no longer fit into. My best friend had secrets and my girlfriend had a fiance. I came back from the dead for this? Joke's on me. At age sixteen Travis Coates was dying of cancer, until one day a doctor approached him about a radical idea to try to save him: cryogenically freeze his head and bring him back to life with another body... in a few years when the technology had advanced enough to do so. Essentially Travis was writing his own death certificate, with no guarantee that he would ever come back alive. But he did come back alive -- and much sooner than even the doctors thought was possible. So five years later, Travis Coates came back from the dead. And while five years might seem like a short amount of time, it was enough for his friends and family to move on and leave his memory behind. But what happens when the people in your life who grieved over your loss and moved on, suddenly find themselves face to face with the very cause of that grief? Travis must learn to navigate this strange world where only he and one other person have experienced what it's like to be given such an unusual reprieve and how to give that meaning. 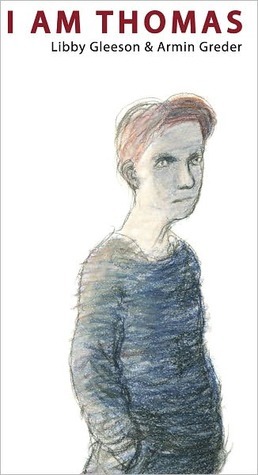 Even though the premise of Noggin is strange and outlandish, this book is about so much more than a boy who comes back from the dead after a body transplant. Anyone who has ever felt left behind by friends and/or family by going away and then coming back from somewhere or something will completely relate to Travis Coates's story. 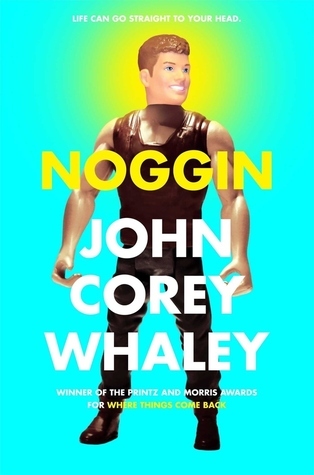 Yes, the premise is a bit of a gimmick (but a great gimmick at that) and one that certainly draws in curious readers, but for those who might read the jacket flap and think the story will be steeped in absurdity, I am here to tell you that while Noggin contains quite a bit of humor (a scene where Travis discovers his ashes in the closet is particularly hilarious), it is also an incredibly sensitive and poignant story. This is a book that I will be recommending to teens and adults for the rest of my life because, at its heart, it is a universally relateable story. I'll be writing a longer review of this book but I wanted to share my first thoughts of this book: Even though the premise of this book is about a teenage boy who comes back to life after his head has been cryogenically frozen, it is about so much more than that. Anyone who has ever felt left behind by friends and/or family by going away and then coming back from somewhere or something will completely relate to Travis Coates's story. 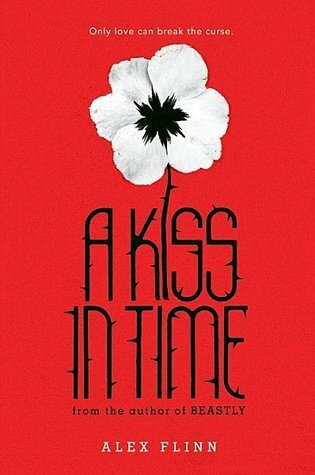 I will be recommending this book to teens and adults for the rest of my life. 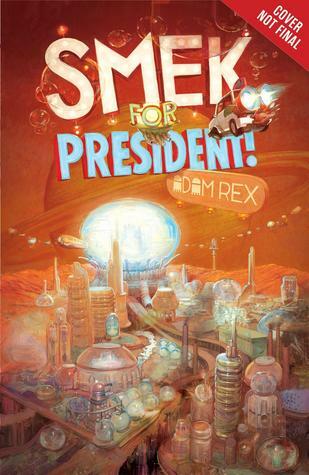 As excited as I was to read the sequel to The True Meaning of Smekday, I found myself longing to listen to the audiobook rather than read the book because I really want to hear Bahni Turpin tell more of Gratuity Tucci's story and narrate for J.Lo the Boov alien. The first Smekday book is my favorite audiobook of all time so I'm praying that Turpin also narrates the sequel too. Fans of I Want My Hat Back and This is Not My Hat are likely to enjoy this story of a cranky bird who gets his comeuppance. 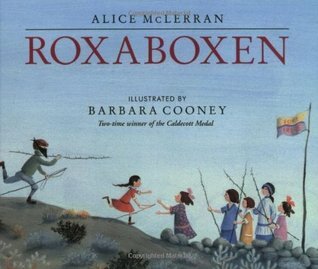 What I loved about this book is how the pictures told more of the story than the text did. I love how Bobby's perspective of his monstrous teacher changes throughout the story. 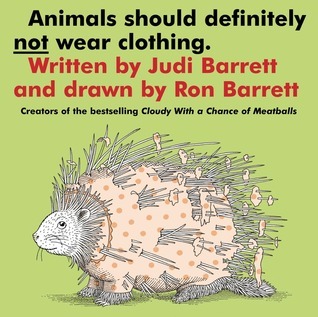 Would be a fun read aloud. Food is a great form of storytelling, as evidenced by the layout of this book, which tells a family story and then includes a related recipe at the end of each chapter. I envision reading a couple chapters to students and then having them write their own story of a family recipe. Lea Michele is best known for her role as Rachel Berry on the wildly popular TV show Glee, but she was also an incredibly successful Broadway performer before she rose to TV stardom. In this memoir/how-to book, Lea tells her story of her rise to fame, as well as gives health, fitness, and beauty advice. Brunette Ambition is beautifully laid out with many color photos and organized in such a way that makes it feel more like a magazine than a book. I know its unconventional and innovative approach to a memoir will appeal to teen girls, but as a thirtysomething teacher I wasn't impressed. The best parts of this book were when Lea forgot about the gimmicky layout with ridiculous diversions like recipes, beauty advice, and photographs of exercises she does to stay in shape, and just got real and told her story. She is not someone I would consider an authority on food or fitness, so adding those advice column-type diversions lessened the impact of her story. Instead, this book comes off as more novelty than substance. What also didn't sit well with me about this book is that Lea talks a lot about staying true to who you are and not changing your appearance for the sake of Hollywood, yet the photos in this book are clearly heavily airbrushed. In addition, she comes of as a bit boastful when she talks about how to be red carpet ready, which she tries to downplay by attempting to approach her advice to the "commoner" by saying that her words hold true whether you're getting ready for the red carpet or your high school prom. I'm not saying there aren't special moments in this book. I really do find Lea's story and her life fascinating -- I especially loved her story of when she met her hero, Barbara Streisand. But I wish she would have just focused on being real instead of distracting the reader with so much superficiality. I don't think this is a book I will be adding to my classroom library. 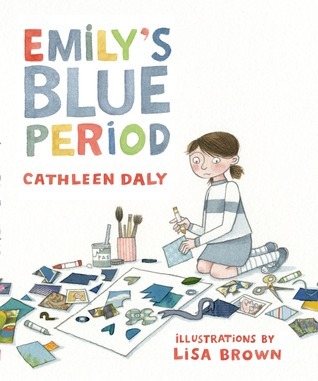 I liked how this book was kind of a combination of a picture book and early reader since it had chapters, but it still had more of a picture book feel to it. 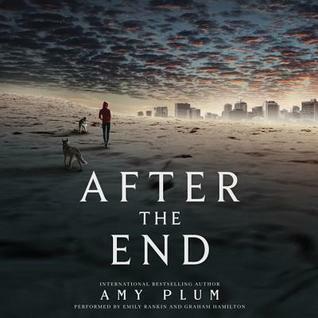 This book has such an interesting premise: a girl thinks the world had been decimated by World War III 30 years earlier, only to realize that her clan had been lying to her all along when she discovers civilization. I'm really enjoying this so far. A piano is glamorous. Sophisticated. Worldly. It is a wonderful thing to play the piano. But instead, her dad bought her an organ. A wood-grained, vinyl-seated, wheeze-bag organ. To say that Zoe is disappointed would be an understatement. At first, she doesn't want anything to do with the Perfectone D-60, but eventually relents and takes lessons from a teacher named Mabelline Person (that's pronounced Per-saaahn) who always expects a cold glass of Vernors ginger ale when she gets to Zoe's house for her lesson. As Zoe learns to play the Perfectone D-60, she also learns to navigate a new friendship with a boy named Wheeler Diggs who comes by her house everyday to do his homework and bake desserts with Zoe's dad. 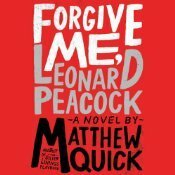 She is also figuring out how accept her somewhat dysfunctional family -- with a mom who, as a controller for the state of Michigan, is obsessed with numbers and the bottom line and never seems to be home -- even on Zoe's birthday -- and a dad who appears to suffer from a rather debilitating case of agoraphobia. He rarely leaves the house, and when he does, he usually ends up buying something he shouldn't have (thus the Perfectone D-60). I adored Zoe's story and could completely identify with her desire to play the piano. While other kids resent being forced to play the piano by their parents, I begged mine for piano lessons from the time I was three years old. And just like Zoe, I dreamed (and still dream) of the day when I could own my very own shiny black grand piano. 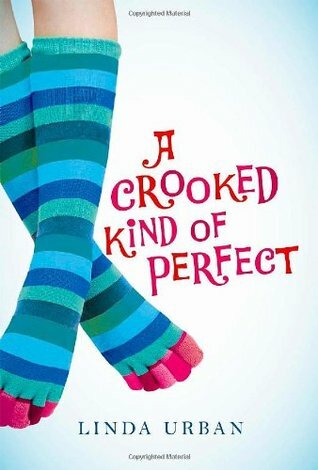 The writing in A Crooked Kind of Perfect was exactly as the title describes -- perfect in its imperfections and humanness. 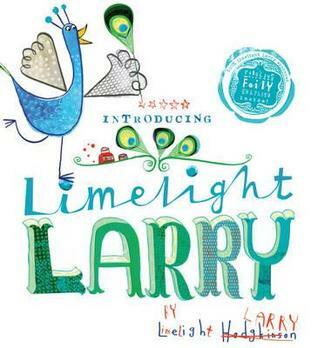 It is light and humorous, but also beautiful and heartfelt. It reads a bit like a novel in crots, with short chapters that end somewhat abruptly, yet gliding like staccato notes on a piano, finishing on a satisfying cadence. Linda Urban is known for writing quiet books that are more character studies instead of filled with plot-driven action, but this is why I adored A Crooked Kind of Perfect so very much. Not only could I identify with Zoe in her desire to play the piano, but I just love books that are full of imperfect yet loveable characters. I could read a novel about nothing so long as the characters were well-written, and that's what Linda Urban has done with A Crooked Kind of Perfect: created characters you just want to sit with and talk to for a while. Hand this book to kids who are music lovers, but who also appreciate quiet, under-the-radar stories. I will be thinking about the ending of this book for a very long time. It's incredibly vague to the point that it NEEDS to be discussed. At the same time, it's also satisfying somehow. Two wonderful dog books for different reasons. 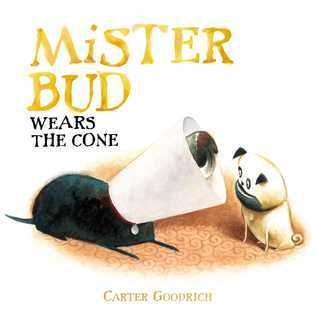 Mister Bud is silly and humorous. 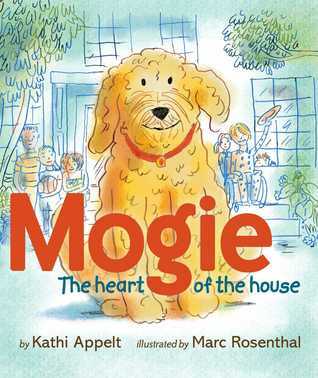 Mogie is heartwarming and makes you feel warm and fuzzy inside. 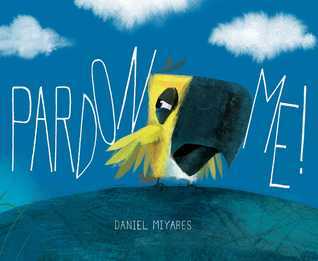 An incredibly powerful picture book for YA readers that explores how hard it is to be yourself when everyone, even adults -- especially adults -- want you to conform and comply. I am so excited to be reading the ARC of this book you don't even know (Thanks Danielle K. for sending it to me!). Although I did consider waiting until October just so I could listen to the audio since Bahni Turpin's performance of the first book is my favorite audiobook performance of all time. I sure hope she's narrating the sequel too. 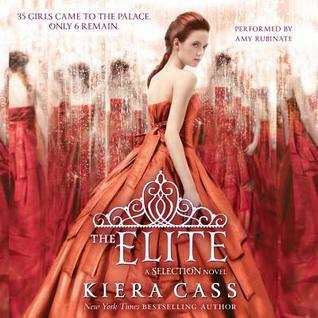 I just started this last night and am only on chapter one so I don't have an opinion yet. 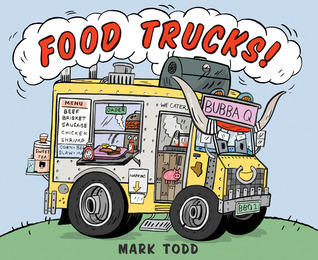 Food trucks have become the new, hip way to eat on the go, and in this collection of poems, Mark Todd explores some of the different types of cuisines and themes most commonly found in food trucks. Everything from barbeque to clam chowder, Todd manages to create both delightful poems and endearing illustrations. Given that food trucks in real-life often have personalities all their own, why not create a book a picture book with illustrations of anthropomorphized food trucks? Seems legit. And despite how strange it sounds in premise, it somehow works. 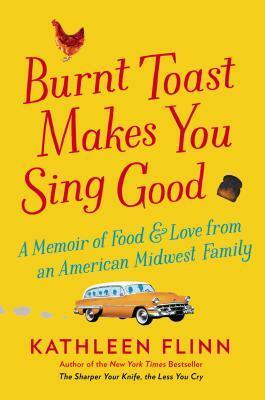 Included among the poems and illustrations are real-life food truck facts peppered throughout the book. 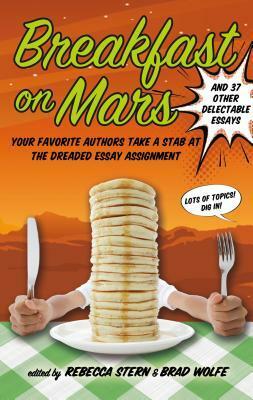 Just a word of warning: this book will make you hungry so don't read it if it's been many hours since your last meal. 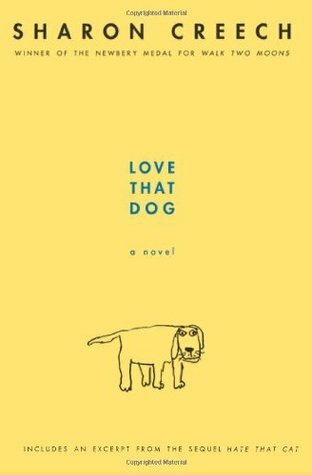 The first time I'd ever heard the name Walter Dean Myers was through the eyes of Jack in the pages of Love That Dog by Sharon Creech. I wonder what Jack would say upon hearing the news of his passing? 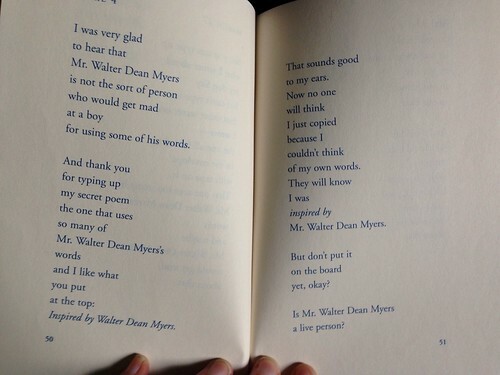 I'd like to think he'd write a poem just for Mr. Walter Dean Myers. 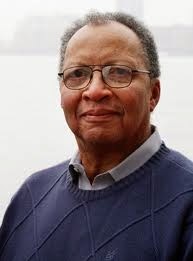 Check out this wonderful, touching moment where Sharon Creech participates in a reader's theater for Love That Dog with none other than Walter Dean Myers. Having read so many cookbooks in my life, at this point, it's difficult to find ones with new and different perspectives. Which is why I was so excited to read Carla's Comfort Foods: Favorite Dishes from Around the World. The premise of this book is that all cultures have their own versions of comfort foods and if you look at the base recipes, many are similar. In the southern U.S. we have grits, in Italy, it's polenta. In Spain they have paella; in Latin America it's arroz con pollo. So rather than the typical cookbook layout of appetizers, main dishes, desserts, etc. Carla's Comfort Foods is laid out by different types of dishes (tomato soups, creamy soups, slaws, pickles, rice, potatoes, seafood, etc.) and each individual dish is labeled with the culture that dish came from at the top of the page. Hall also includes a handy-dandy chart at the beginning of the book to help readers see what herbs and spices are most prevalent in each type of cuisine. 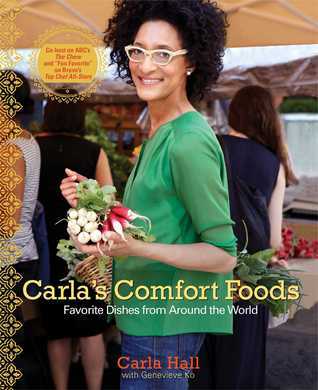 Something else Carla Hall does in this cookbook that home cooks will appreciate is she adjusts ingredients for the home cook. Despite the fact that these are dishes from other cultures, Hall wants to make shopping for ingredients as painless as possible, so she has made sure to swap out hard to find ingredients with those that are easier to find in regular grocery stores. Some may criticize this move as inauthentic and a cop out, but I see it as Hall catering to her audience and knowing that she wants her cookbook to be used, not put on the bookshelf and never opened again. I've only tried one recipe from this book so far but I will definitely be trying more. I made an Indian rice dish that was so full of spice and flavor that I will be adding it to my rotation of favorite side dishes. I've included the recipe below. I want to thank Carla Hall for thinking outside the box and creating a new and unique cookbook concept. 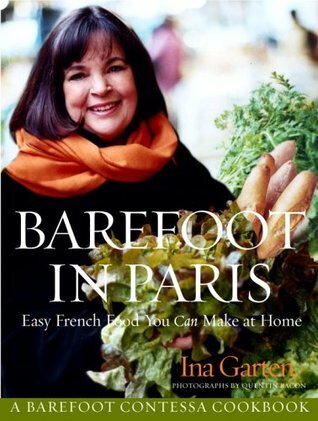 After reading through the wonderful recipes in Carla's Comfort Foods, I will definitely check out anything else she publishes in the future. Bring a large saucepan of water a boil. Add the rice along with 1 & 1/2 teaspoons salt. Boil, like pasta, until tender, about ten minutes. Drain thoroughly and spread out on a large baking sheet to cool and dry (I didn't follow this step to the letter. Instead, I cooked the rice in the rice cooker and didn't drain it because all the liquid had been cooked out). Meanwhile, grind the peanuts and sesame seeds together in the spice grinder. Transfer to small skillet and toast over medium heat until fragrant (about three minutes), stirring frequently. Transfer to a plate to cool. In a large dutch oven, melt the butter over medium-low heat and add the garlic. Cook and stir until fragrant, about one minute. Add the mustard seeds and chile flakes and cook for thirty seconds. 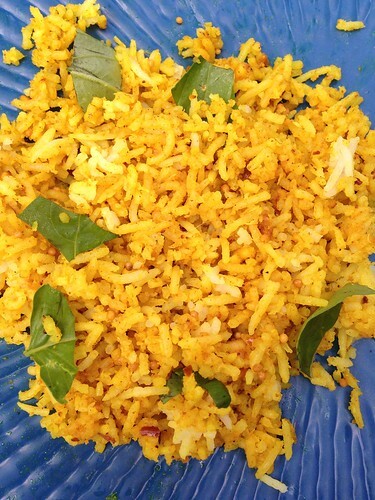 Then stir in coconut, brown sugar, turmeric, lemon zest, peanut-sesame blend, and rice. Continue stirring until the sugar dissolves and the mixture is heated through. Fold in the basil and lemon juice and serve immediately. Read the book's summary on Goodreads.